Notes: These have patina on them and are in used condition. 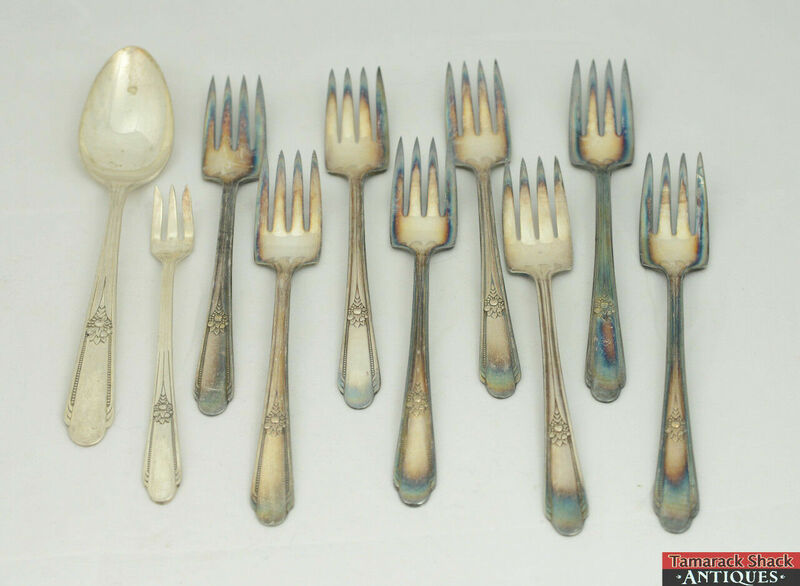 For your consideration is this 10 piece silverplate flatware set made by WM Rogers International Silver in the pattern of Memory-Hiawatha. There is usage wear on these and they have patina on them. Please see the pictures for more details. 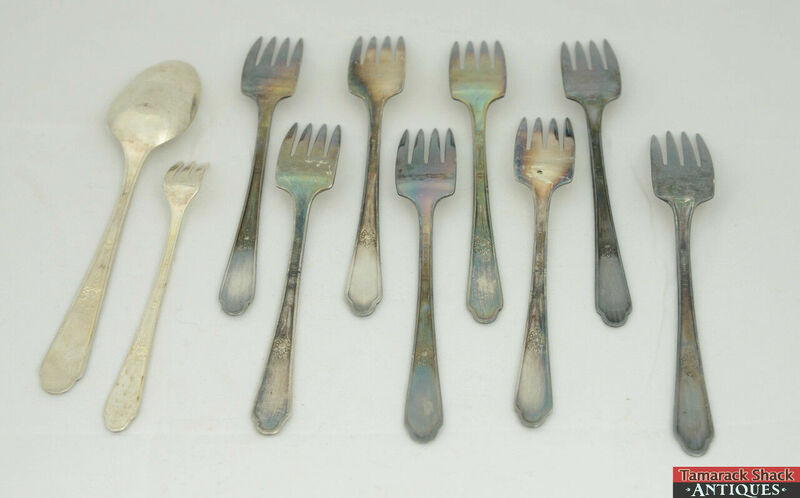 8 Individual Salad Forks – These measures about 6 1/2″ long. 1 Cocktail/Seafood Fork – This measures about 5 3/8 long. 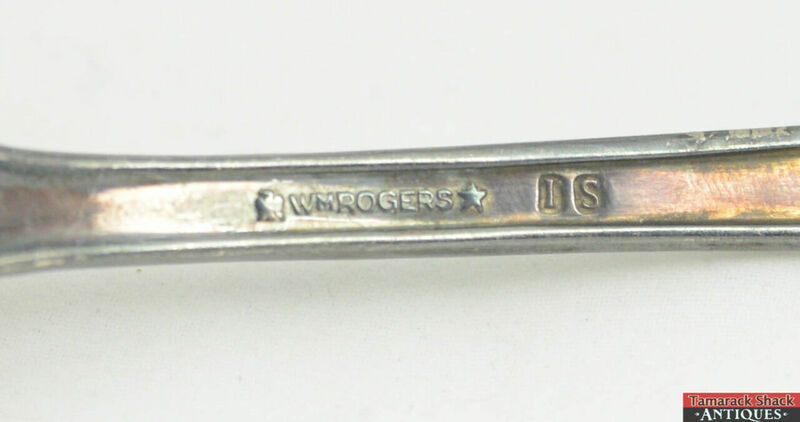 1 Place/Oval Soup Spoon – This measures about 7 3/8″ long.